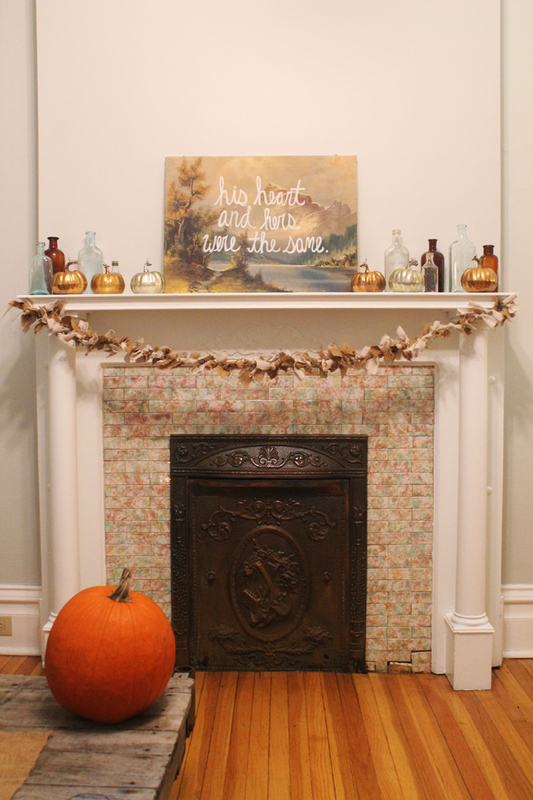 Our mantel recently went through a little makeover. Our house is still very much a "work in progress", but I think it is starting to come together quite nicely. Here is the before during the home's highly staged phase. We painted the room out grey and updated the mantel in white. 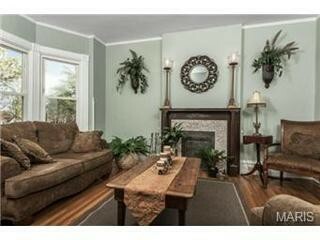 Fear not original wood lovers, that mantel was just painted a gross dark brown. And here is the after. 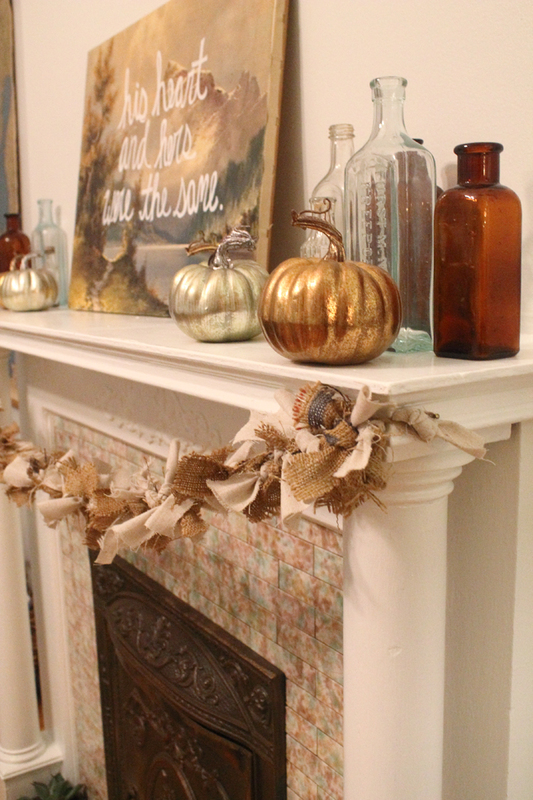 A crisp white mantel all decorated for fall. Now to find the perfect thing to cover up those old chipping tiles. Hey, a house from 1903 comes with LOTS of "character". We still need to mount our TV above the mantel, so I just spruced it up for fall with some temporary decorations. I'm loving that garland (and the entire project, naturally)! Did you make it? ?